Buying quilts at auction, rather than in one of our many wonderful local quilt shops, is NOT for the faint of heart, but it IS an experience and can save you lots of money. My favorite auction is held every-other month in New Holland at the Liberty Fire Hall. They sell quilt and quilt-related items starting at 9:00 am and running until all 700+ items are sold, typically around 2:00 pm. The next auction is Tuesday, November 13, 2013. If you’re in the market for a quilt, it helps to do some shopping first. Go to the quilt shops or look online to get a feel for the patterns and colors you like, plus the retail pricing for your favorites. One of the big reasons this ‘homework’ is helpful is that you’ve got about 30 seconds to decide if you want to bid on a quilt, and the bidding ends quickly. Buying a quilt at auction isn’t like “shopping” where you can look at a few hundred quilts, compare them, look at them side-by-side, take a photo and send it to your best friend for her opinion, think about it some more, and then finally make a decision. It’s more like a “competitive sport” where you’re taking a shot on goal and you’ve got just seconds to score (or loose the ball to the opposing team!)! Your heart will pound. You’ll think, “do I bid on this one, or will something better come up later?” At the back of the room, Amish girls will be asking one another “Mary, did you make that one?” “No, mine’s up next, this one’s Rachel’s”. 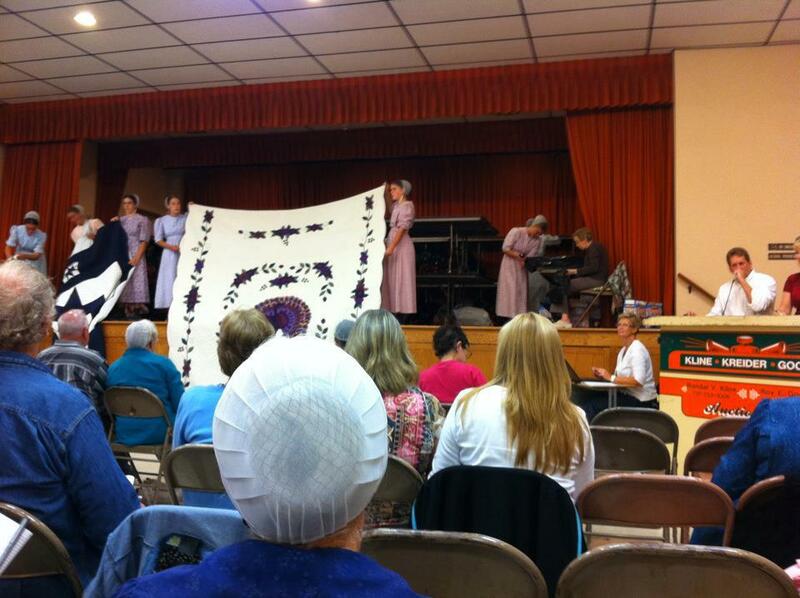 Then the bidding starts, slowing at first, then escalates in a flurry as enterprising Amish women nod to the auctioneer and the bid quickly rises then abruptly ends and the auctioneer quickly moves to the next quilt. Many of the bidders are shopping for quilts that they’ll turn around and sell in their retail quilt shop, so pricing is wholesale. So if you’re looking for a quilt for your own home, or to give as a gift, the biggest challenge is simply deciding between all the beautiful, hand-sewn options before you. 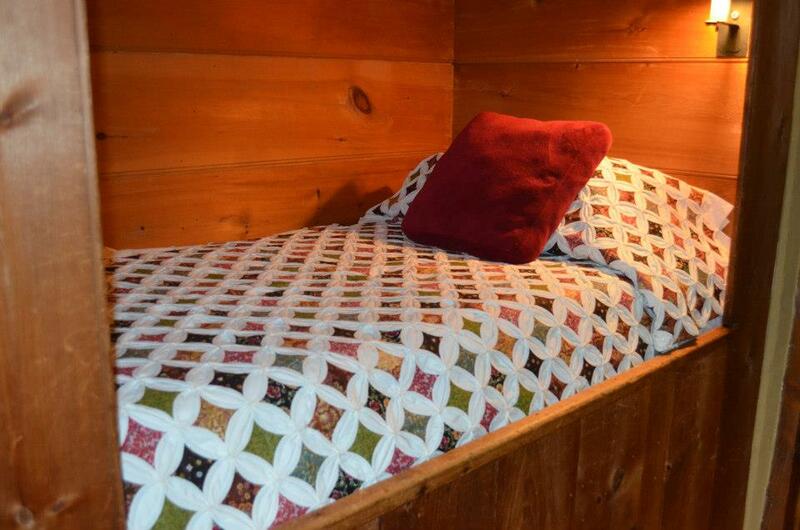 If you’re up to it, what you’ll “win” is more than just a quilt, it’s an experience! The next auction is being held Tuesday, November 13th at 9:00 am. The preview is Monday from 12-4 pm. 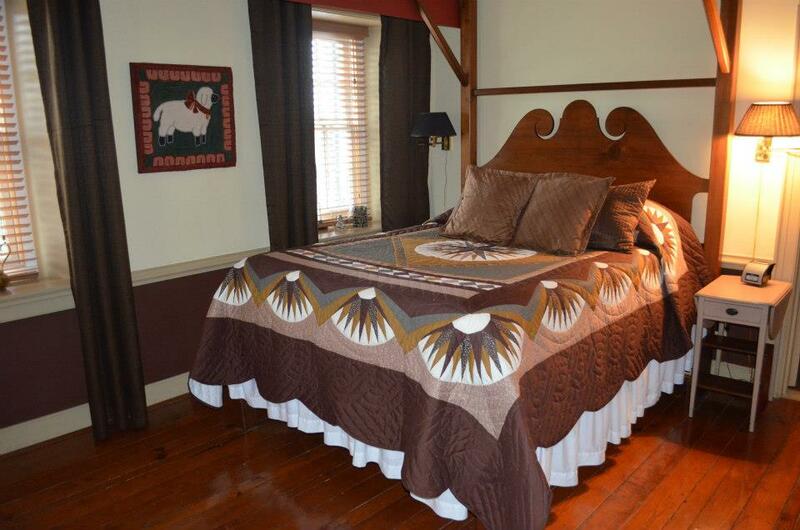 The location is on Main Street in New Holland, just 15 minutes from the Historic Smithton Inn in Ephrata. You can make a trip of it and stay at the Historic Smithton Inn for a night, where the quilts on every bed were bought at this auction!